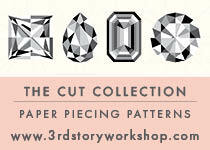 We have some exciting news to share! 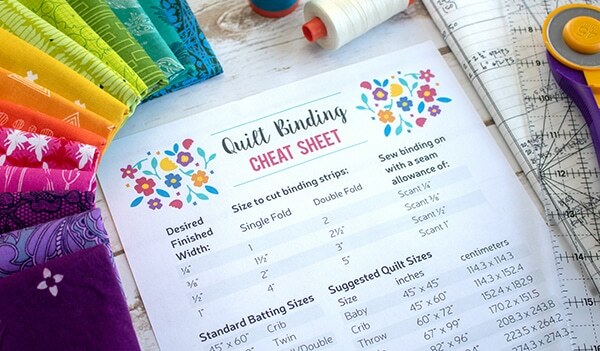 If you’d like to try a fast and easy way to re-color your Quilter’s Planner Sampler quilt without using expensive software or apps, we have the answer. 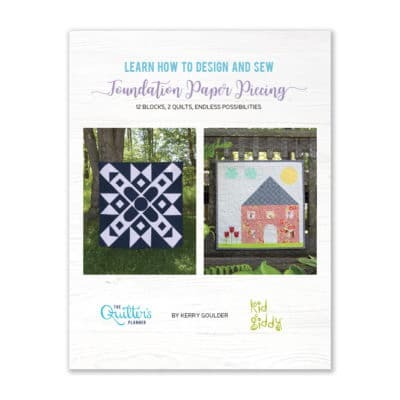 Now the Quilter’s Planner 2019 Sampler Quilts are available on the PreQuilt website for you to play with before you sew. 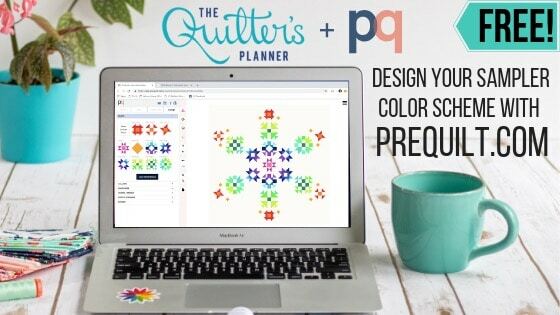 The wonderful developers of PreQuilt have also filmed two quick tutorials to show you how to use this simple, fun tool (links to the videos can be found below in this article, or right on the PreQuilt Webpage). *There is no software to download. *At this time, the best user experience is on a computer (not an IPad or tablet). 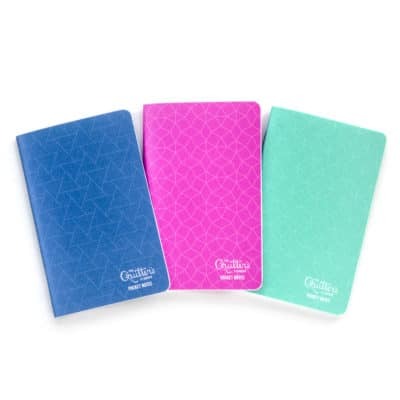 Future development plans are in progress for other devices. 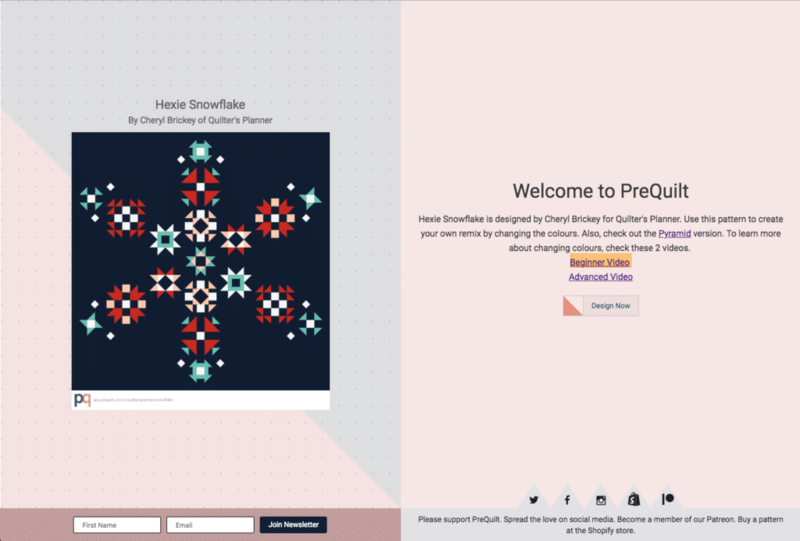 *In this current beta model of PreQuilt, users are not able to “save” their version, but that you are able to download and print an image of it. 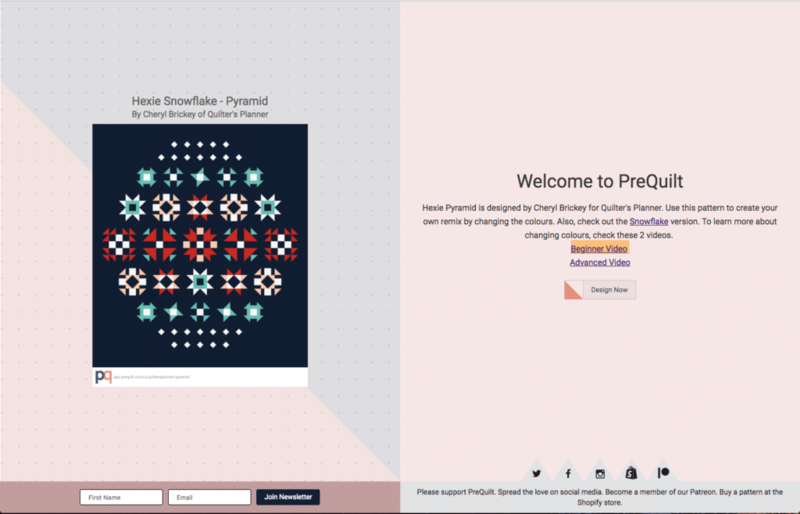 Be sure to keep the browser open if you are still designing until you download and save the image you are working on coloring. 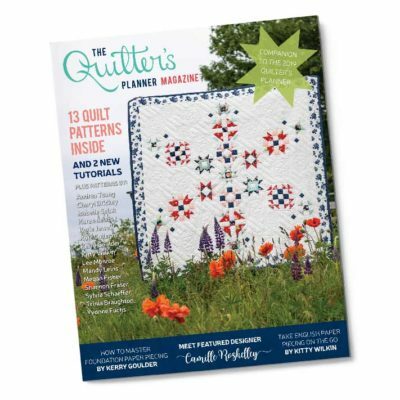 Want to Watch the Tutorials to Learn How to Use PreQuilt? 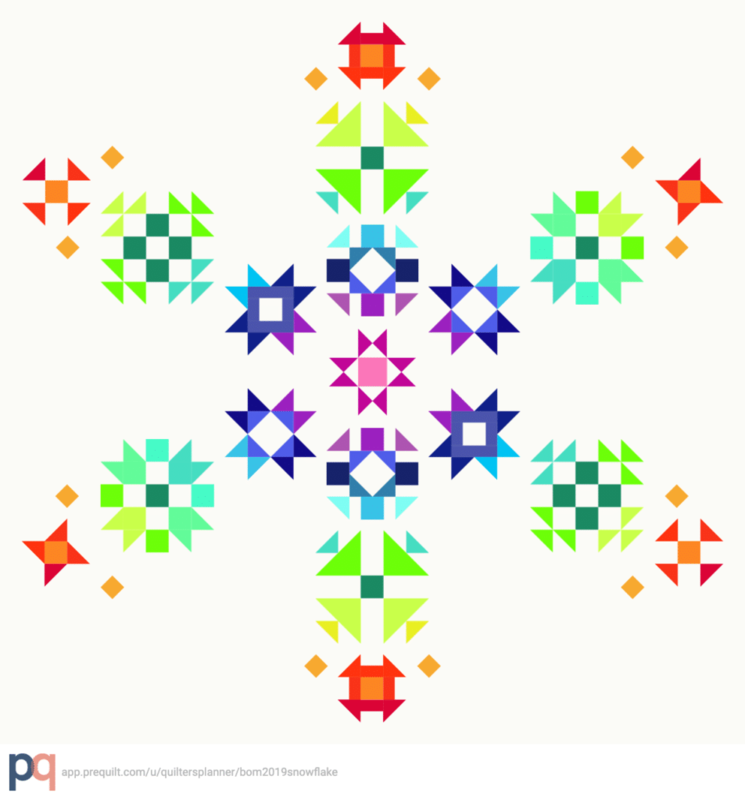 Kitty Wilkin, our resident photographer, social media coordinator, and rainbow expert, whipped up this pretty version of the Hexie Snowflake Layout of the Sampler. Isn’t it beautiful? 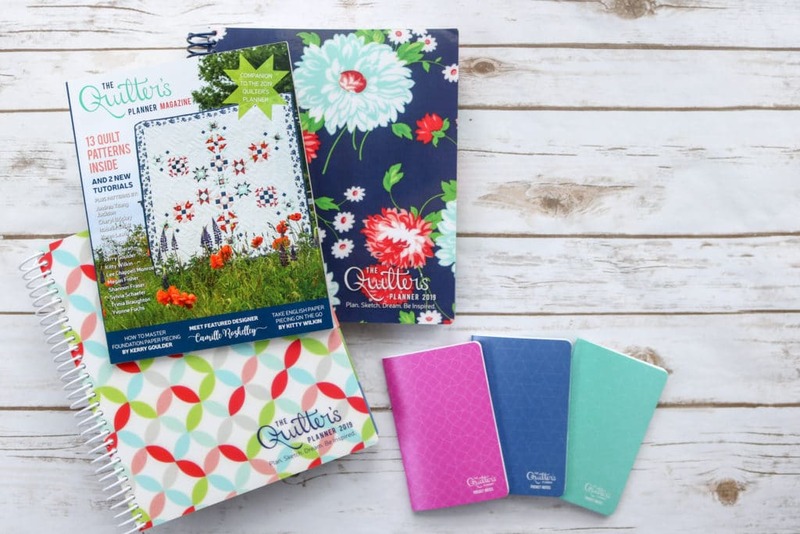 Still Need to Buy a Quilter’s Planner and Magazine (featuring the 2019 Sampler)? Click here!